Home Tags Posts tagged with "pat roberts"
Kansas might elect an independent candidate, businessman Greg Orman, who is looking strong in a battle against Republican incumbent Senator Pat Roberts. Kansas has not elected a Democrat to the Senate since 1932, and will not again in 2014. The Democratic Party removed its candidate from the ballot, deeming Greg Orman the best chance at unseating Pat Roberts. Pat Roberts was first elected to the Senate in 1996, and has not faced a challenge this tough since. He is among the more conservative members of the Senate, according to an analysis by GovTrack, which is not necessarily a liability in a state that pioneered anti-abortion politics, has one of the most conservative governors in the country, and has not voted for a Democrat since 1964. Pat Roberts’ political opponents have portrayed him as out of touch with his constituents, playing up a report that he did not own a home in Kansas and had scant ties to the state. Greg Orman has not said which party he would caucus with if elected, suggesting he will side with whichever has the majority. 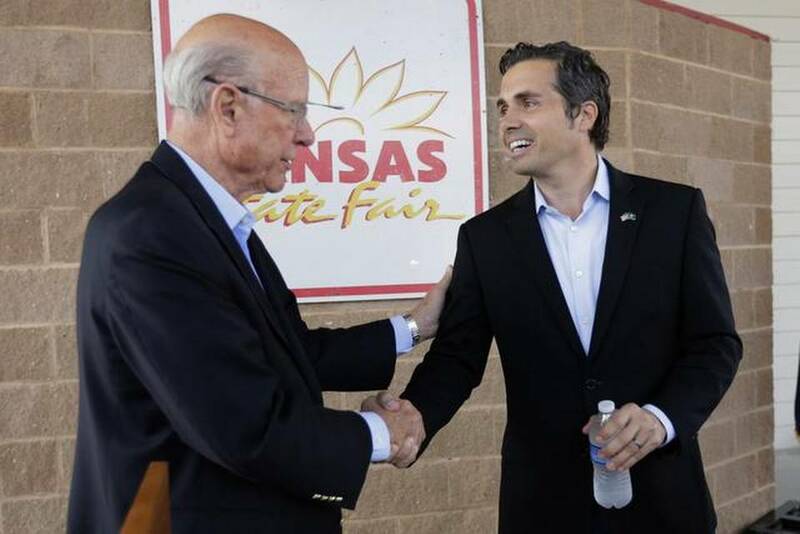 As polls suggest Greg Orman is leading Pat Roberts, Republicans have sought to portray him as a Democrat in all but name and highlighted his business connections with Rajat Gupta, who was of convicted securities fraud.